A red Volkswagen Jetta with a black hood is associated with the disappearance of Sierra LaMar, the 15-year-old South Bay girl who has been missing since March, Has been recovered by the Santa Clara County sheriff's office. Updated Breaking News: Santa Clara County Sheriff's Office have located the red Volkswagon Jetta that investigators believe is associated in the disappearance of missing Morgan Hill teen Sierra Lamar. Investigators are still asking to speak with anyone who may have seen the VW Jetta or had contact with the occupants in south County around the time Sierra disappeared on the morning of March 16. She was last seen at her home in unincorporated Morgan Hill, located near Palm and Dougherty avenues. 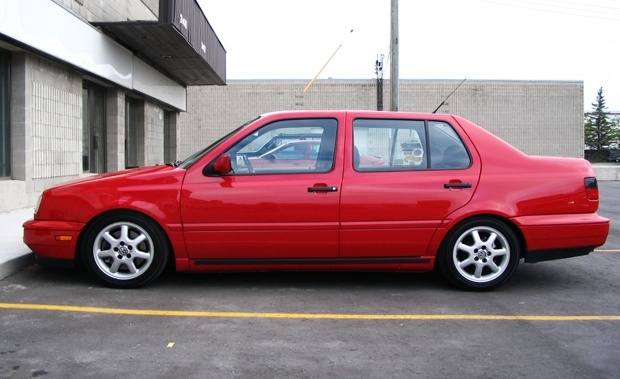 Authorities were seeking a car similar to this red 1990s Volkswagen Jetta, but with a black hood. Anyone with information can contact sheriff's investigators at 408-808-4500, the anonymous tip line at 408-808-4431 or email tips@sheriff.sccgov.org.